True Balance Longevity Med Spas are a transformative health and beauty clinic where the most advanced medicine and technology combine with meticulous skill and artistry to help you look and feel your absolute best. Whether you’re seeking cosmetic treatment for your skin, relief from hormonal imbalance or the benefits of feminine rejuvenation, Dr. Ron Brown and our talented staff can help you achieve your goals. At True Balance Longevity Med Spa, we strive to help every patient feel vibrant on the inside and look refreshed and youthful on the outside. By treating you as a whole patient, rather than just an assortment of symptoms and problem areas, we pride ourselves on providing results that are truly life-changing. Dr. Brown is passionate about providing an unparalleled level of highly-personalized patient care. He knows that every patient has unique needs, and he will take the time to get to know you and understand your goals. True Balance Longevity Med Spa’s Executive Medical Director Dr. Ron Brown has dedicated his career to improving the lives of his patients with honesty and integrity. After graduating with a fellowship in family practice from the University of Alberta, Dr. Brown worked for eight years in a rural family practice while leading a small hospital. At the University of Alberta, Dr. Brown specialized in obstetrics and gynecology. He has worked as an Obstetrician at the Grey Nuns Hospital for 15 years. He holds an appointment as an Associate Clinical Professor of Obstetrics and gynecology in the faculty of of Medicine at the University of Alberta. 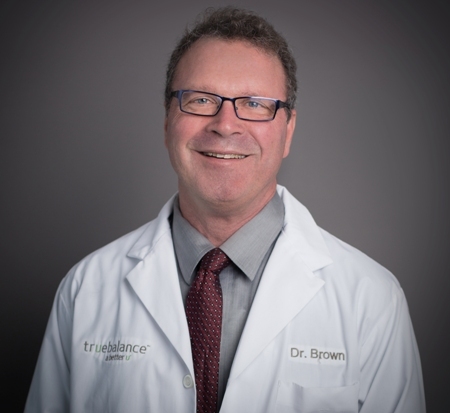 Dr. Brown is board-certified in Functional and Regenerative Medicine by the American Academy of Anti-Aging Medicine and published his first book on Bioidentical Hormone Replacement Therapy (BHRT), titled “Discovering Your True Balance with Bioidentical Hormones” in 2011. 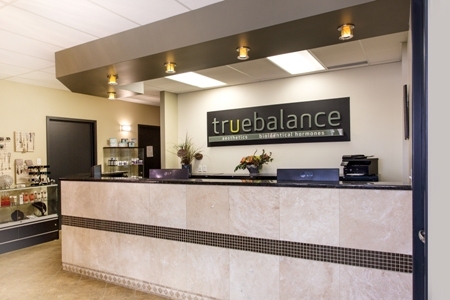 Today, True Balance Longevity Med Spa is one of the largest BHRT clinics in North America. Dr. Brown has trained a passionate team of BHRT coaches and directs an immense wellness program for his patients throughout Sherwood Park, Spruce Grove and St. Albert. 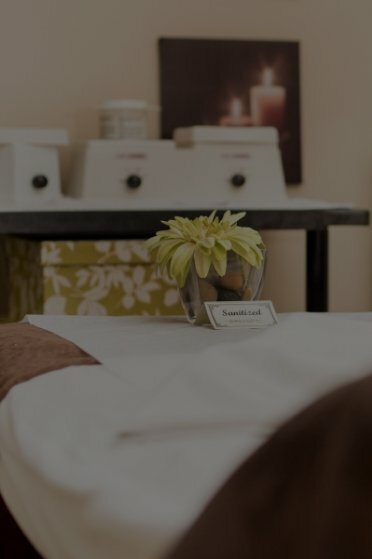 Whether you want to improve your physical or emotional well-being, enhance the youthful beauty of your skin or simply pamper yourself with a day at the spa, Dr. Brown and the talented staff at True Balance Longevity Med Spa are dedicated to providing you with the quality, individualized care you deserve. Our mission is to enrich our patients’ lives with premier products and services delivered with integrity. 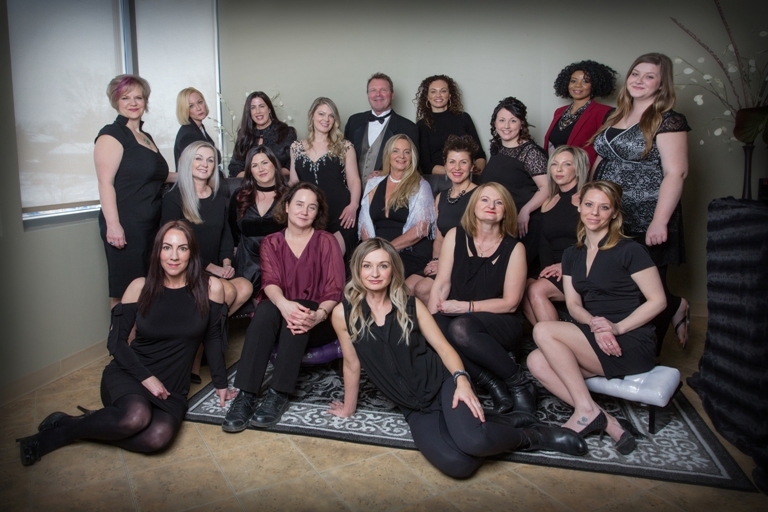 Meet the talented staff at our flagship location in Sherwood Park! Dr. Brown’s commitment to being of service extends beyond the walls of his practice. He has done work with Kids Kottage, an organization designed to protect children by providing an emergency crisis nursery, FASD (Fetal Alcohol Spectrum Disorder) Respite Program and a Basic Shelf Food Security Program. He has also contributed to Laugh for Life, an annual event that benefits Kids Kottage and The Mustard Seed, a group that combats poverty through the building of a healthy community. In 2008, Dr. Brown and his wife established the Rescue 100 Horses Foundation, an organization dedicated to the assessment, rehabilitation and placement of abused, neglected and mistreated horses seized in Alberta by local animal law enforcement. If you would live in or around the Sherwood Park, Spruce Grove or St. Albert areas and would like to learn more about the services offered at True Balance Longevity Med Spa, please contact us to schedule an appointment or FREE Initial Aesthetic Consultation.